Purchased from: Chocolate and Love, U.K.
Today was Day #5 of Chocolate and Central America Theme Week. 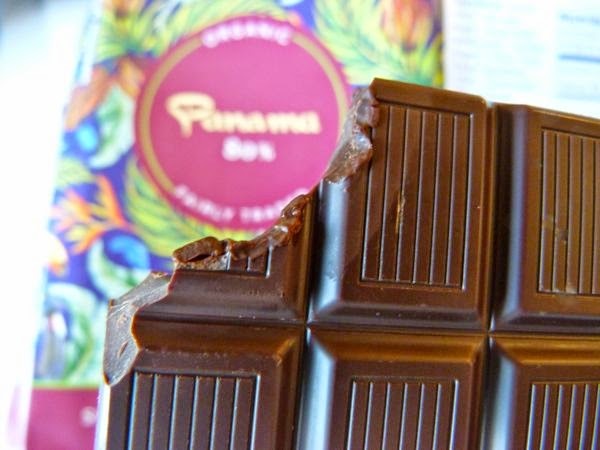 The attractively designed and packaged, single origin, organic Panama 80% dark chocolate bar was brought to you by Chocolate and Love Ltd. (Perth, U.K.). 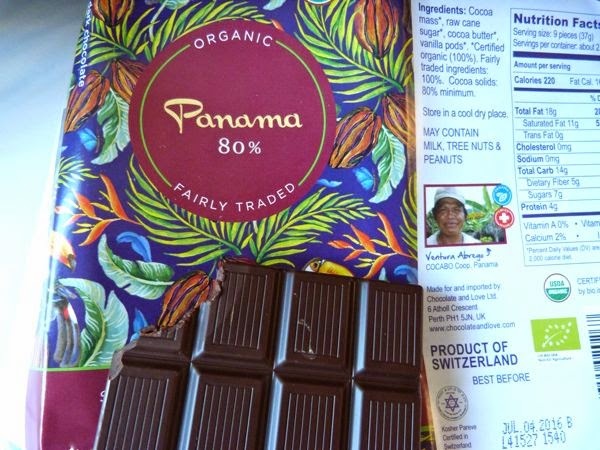 Made with fairly traded cacao beans (from partner Cocabo in Panama), this single origin bar was manufactured for the company in Switzerland. This is a great bar for those who shy away from high percentage bars for fear of bitter flavor. This bar had a pleasing hot cocoa aroma, and an even, smooth dark flavor, particularly for an 80 percent cacao bar. There was a very subtle hint of earthiness, and no sharp or acidic notes. *Chocolate and Love is a family-owned business, operated by Richard O'Connor and Birgitte Hovmand.